What Does Philippians 3:11 Mean? Paul had the most impressive genealogy, and was born into the most advantageous of families. He was taught by the most eminent of teachers, received an outstanding education and attained significant qualification.. but it means nothing in the eternal realm. 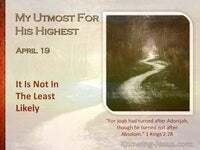 Paul had all the advantages that money could buy - but, following his conversion, on the road to Damascus, he considered all his privileges to be rubbish, in order to gain Christ, and be found in Him. Paul knew the Lord Jesus as his Saviour, but desired to know Him more fully, for he recognised that the surpassing greatness of knowing Christ, was the most important and precious thing in this life, and in the life to come. 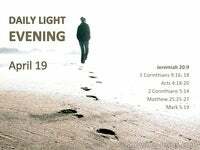 Paul understood that his redemption and righteousness had nothing to do with himself.. but came from God alone. 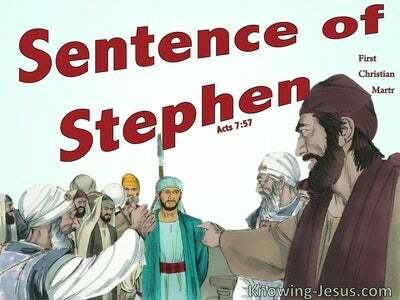 He was incapable of attaining to the righteousness that would come by keeping every jot and tittle of the Law. Paul admitted.. that despite his impressive parentage, worldly privileges, educational advantage and outstanding achievements, he would have been condemned to a lost eternity, had it not been for the Lord Jesus Christ and His sacrifice at Calvary - for there is no favouritism with God. 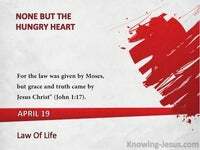 But having been saved.. Paul wanted to know Christ more. 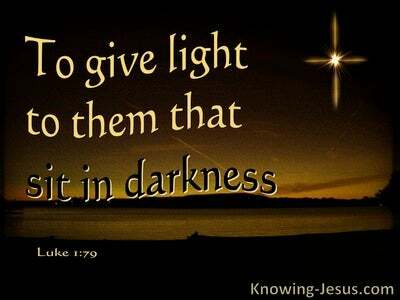 He wanted to experience the power that came through Christ's resurrection and he desired to participate in his Saviour's suffering, and become like Him in His death. OH! 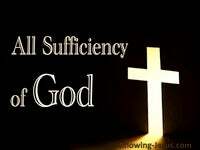 not the substitutionary suffering, for the sin of mankind, which Christ alone could achieve.. but Paul was content to suffer for Christ's sake - in order that he might attain to the resurrection of the dead. Paul desired to be inwardly formed into the image and likeness of Christ, so that he could live the new-life in Christ, as much as he was able, in his weak, fleshly body. His great desire to be like Christ, was in order that he might attain to the resurrection of the dead. 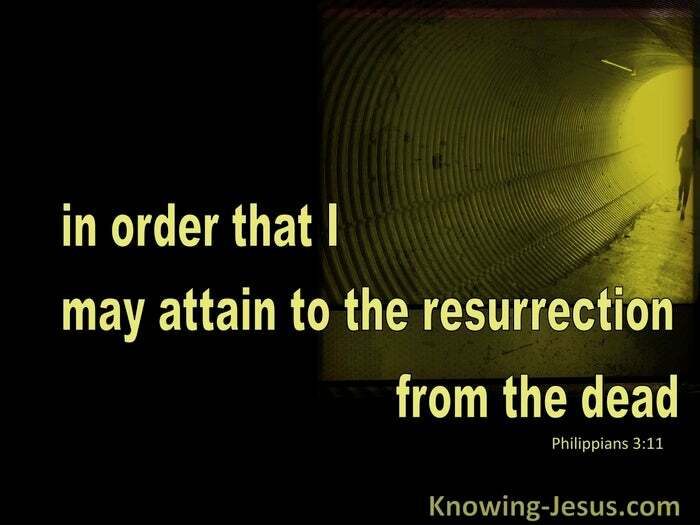 But what did Paul mean when he said.. in order that I might attain to the resurrection of the dead? Paul was already saved by grace through faith! 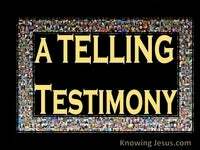 He had already received the assurance of his bodily resurrection and everlasting life, when he first believed. The resurrection of the body is one of the many advantages of trusting Christ for salvation. 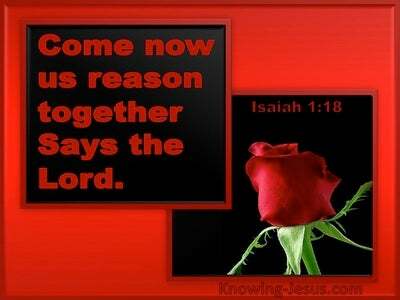 Every believer has the absolute assurance that like Christ.. we will rise from the dead. Paul himself taught in Corinthians 15: Christ has been raised from the dead, and is the first fruits of those who are asleep. For since by a man came death, by a Man also came the resurrection of the dead. For as in Adam all die, so also those who are positioned in Christ, by faith, will all be made alive and be resurrected from the dead. So why would Paul strive to attain to the resurrection of the dead? Well, the word “resurrection' comes from the Greek word “anastasin'. However, in this passage the preface EX is added - “EXanastasin' and this is the only place where “EXanastasin' is used in the entire Bible!! If “anastasin' means “resurrection'.. 'EX-anastasin' would have the meaning 'OUT-resurrection'. But why would Paul, who already has the assurance of the resurrection of the dead strive to attain to the OUT-resurrection? Well, Paul knew that salvation is the first stride and not the final step in our Christian life. And every day, in the life of a Christian, is a day when we can die to self and our own, personal desires.. and live for Christ and do all to the glory of God. The good works that we do to the glory of God have no effect on our salvation - for salvation is exclusively by grace through faith in Christ's sacrifice. 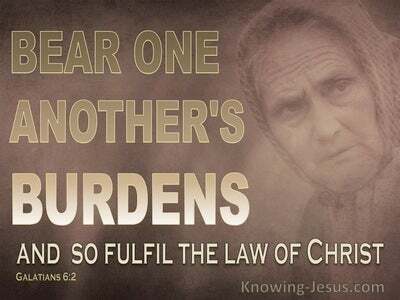 However, the good works that we do to the glory of God and not for the honour of self.. will result in a spiritual reward, as the Bible clearly teaches. And it appears, that in this passage, Paul is hinting that the 'out-resurrection' for which he strove, has a connection with the rewards that believers will receive, at the judgement seat of Christ. And so we find Paul striving to grow in grace and to know Christ more. 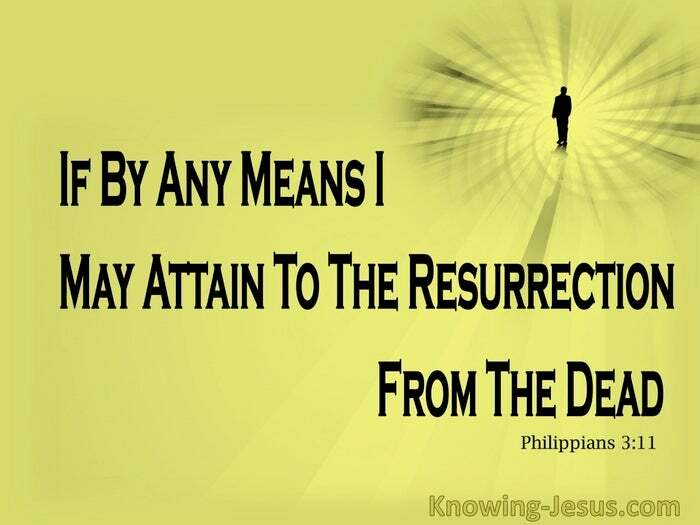 He desired to participate in Christ's resurrection power.. and fellowship in His sufferings - in order that I may attain to the OUT-resurrection from the dead. 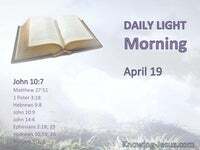 Some scholars suggest that this is a reference to the rapture and some like to spiritualise these verses to make them say what they would like them to say. But no matter which interpretation you favour - this verse reminds us that we are to strive to know the Lord Jesus more intimately... to know the power of His resurrection.. and to fellowship in His sufferings. May we strive, day by day, to be conformed to His death - in order that we may attain to the resurrection from the dead. Let us endeavour to grow in grace, mature in the faith and live godly lives in Christ Jesus.. knowing that by His grace, this will receive a great reward.